Thank you for visiting my page! Every great athlete needs a great support team and I really appreciate you being a part of it! Make sure to take a look at all I'm offering to those who are generous enough to donate! I would love to help out however I can, whether it's in a community, to help support a certain cause or item, or to work with someone 1-on-1. From being born in Portland, Maine, attending Seton Catholic High School in Plattsburgh, NY, and college at Cornell University, Genna has stayed true to her northeast roots, now training with and assistant coaching the Cornell Women's Track and Cross Country teams. Before her graduation in 2013, Genna was a two-time All-American and ECAC Champion, as well as an All-Ivy Team Member in Cross Country and Track, all while earning a degree in Nutritional Studies and Pre-Med. Genna balances her training and competition time while working as full-time recruiter for Kaplan Test Prep for Kaplan Test Prep; she has a love for teaching and is considering pursuit of a degree in teaching or school counseling. Regaring passion and dedication to achieving her goals, Genna states, "I am a very determined person who will work as hard as I can go do what I've set my mind to. However, I believe strongly in being driven by what you love, and that you truly enjoy pursuing. My philosophy is to find as much enjoyment as possible in what you're pursuing, and don't take yourself too seriously, yet once you commit to something, be as dedicated and driven as possible." 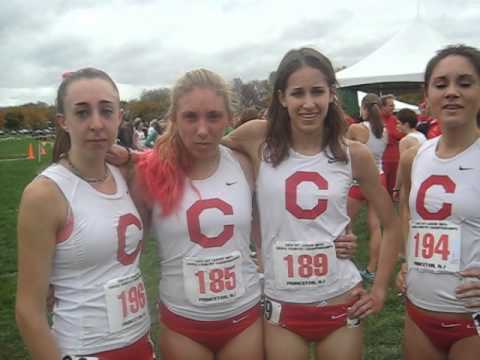 As if training and working full-time was not enough, Genna also assists with coaching the cross country and track teams at her alma mater, Cornell University.